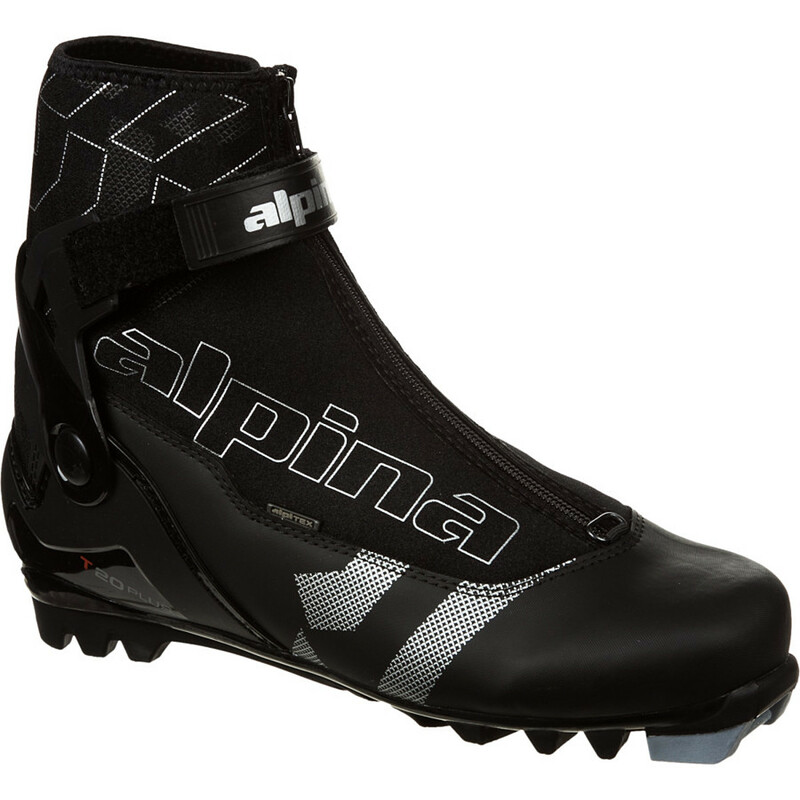 Set up to perform both on and off the trail, the Alpina T 20 Touring Ski Boot provides the comfort and control needed for a true cross country tour. 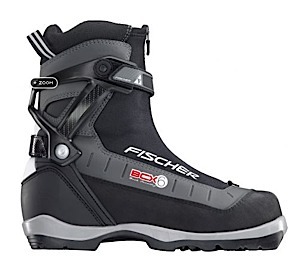 Their soft flex shines when setting a track through soft snow, while a plastic heel counter provides enough rigidity to maintain a consistent glide when you're in the track. 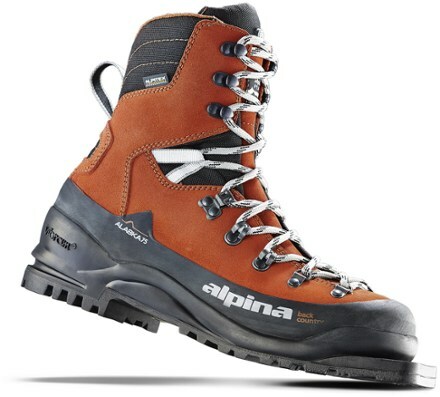 The anatomic footbed is designed to optimize comfort on those longer tours, while their Thinsulate insulation and Alpitex membrane keep your feet warm and dry when you're setting your own track through the woods this winter. CLOSEOUTS . 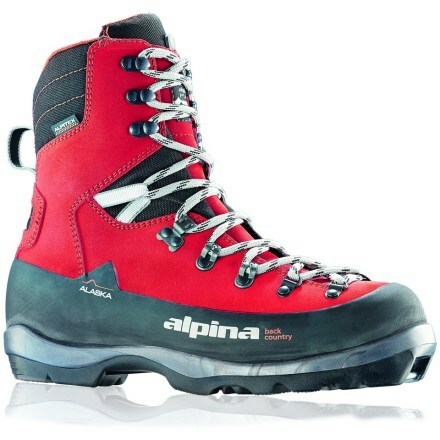 Alpina T20 touring ski boots offer an ideal blend of flexibility, weather protection and comfort. 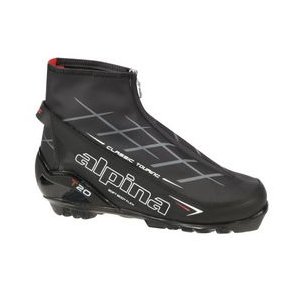 An Alpitex waterproof breathable membrane keeps the foot comfortable, and the heel counter provides added stability. Available Colors: BLACK/SILVER. 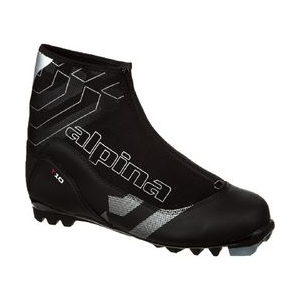 Sizes: 39, 40, 41, 42, 43, 44, 45. 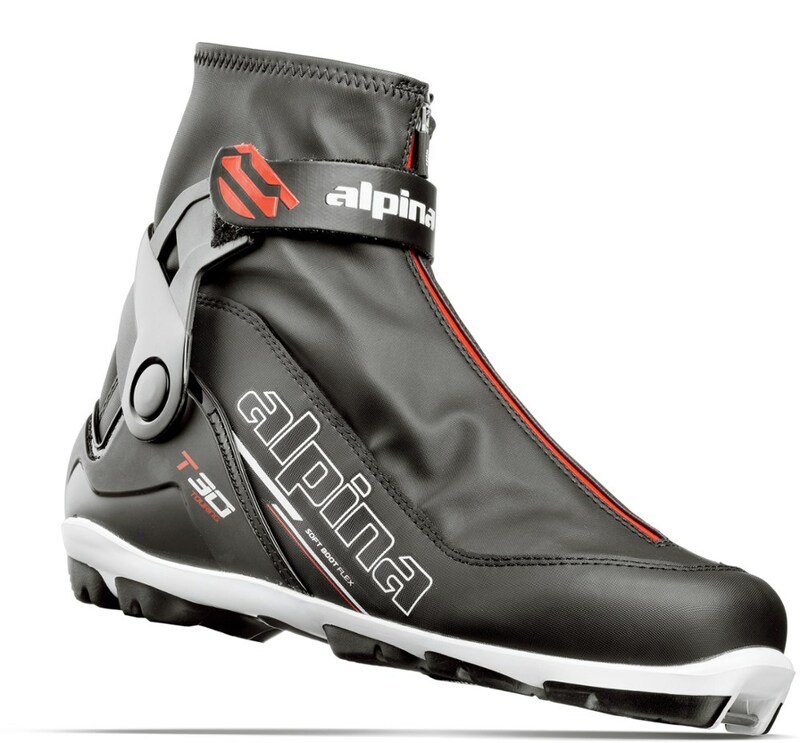 The Alpina T20 Boot is great for drier conditions where waterproofing is not needed.